Several Bollywood stars attended Farhan Akhtar's business partner and producer Ritesh Sidhwani's birthday party on August 14 at Mumbai's Taj Lands End hotel. 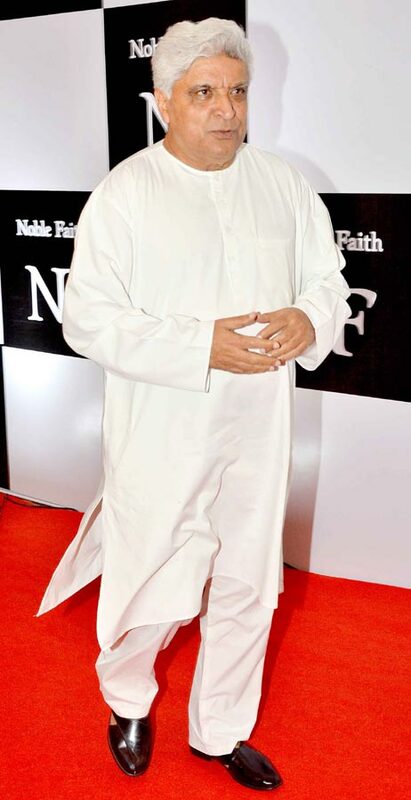 The high profile bash also saw the launch of his wife Dolly's fashion brand Noble Faith. Kangna Ranaut poses for the shutterbugs. Please click Next to see more party pictures. Deepika Padukone, who came straight from the trailer launch of her upcoming film Happy New Year, looked dazzling in a black cutout dress. Deepika had starred in Sidhwani's production, Karthik Calling Karthik, opposite Farhan Akhtar. Priyanka Chopra took some time off from the promotions of her upcoming film Mary Kom to attend the bash. She is currently working on Sidhwani's under-production film, Dil Dhadakne Do, directed by Zoya Akhtar. Shilpa Shetty looked chic in cropped jumpsuit, which she wore with a pink clutch and matching leopard print pumps. 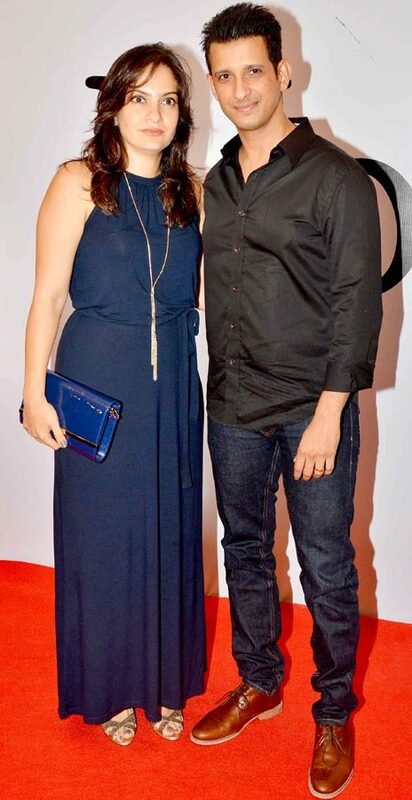 Ritesh Sidhwani and his pretty wife, Dolly. Ranveer Singh, who also stars in Dil Dhadakne Do, strikes a pose. Former Bigg Boss contestant Elli Avram looks gorgeous in black. Imran Khan and Avantika Malik, who recently had a baby girl, arrive. 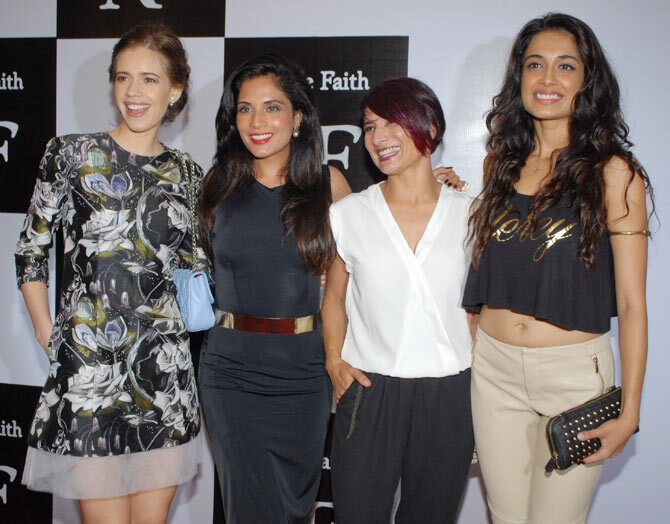 Actresses Kalki Koechlin, Richa Chadda and Sarah Jane Dias pose with Farhan Akhtar's wife Adhuna. Anil Kapoor looks dapper in a black suit. Riteish Deshmukh arrives sans wife Genelia D'Souza. 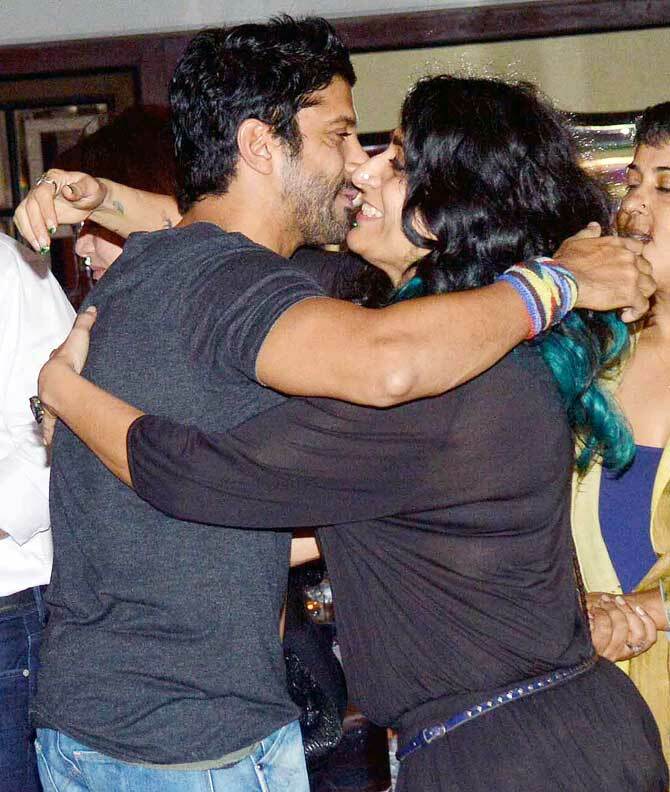 Farhan Akhtar hugs fashion designer Niharika Khan on arrival. 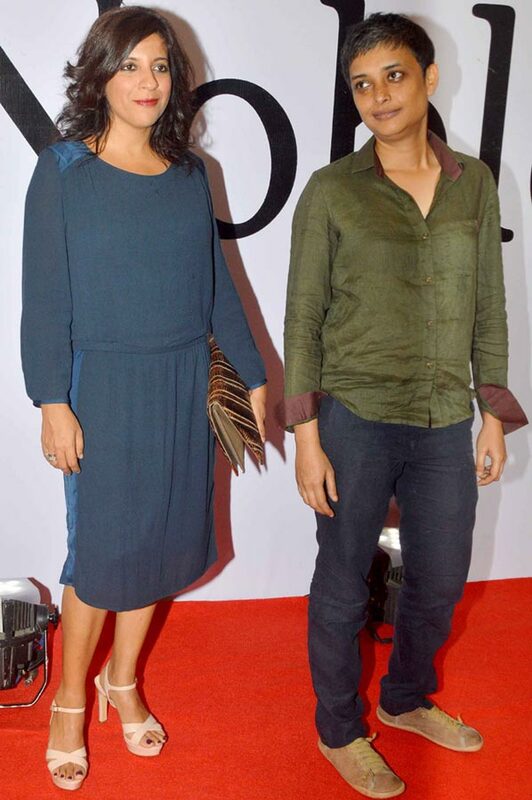 Directors Zoya Akhtar and Reema Kagti (Honeymoon Travels Pvt Ltd and Talaash) arrive together. Vivek Oberoi, who is currently sporting a handlebar moustache, arrives with wife Priyanka Alva. 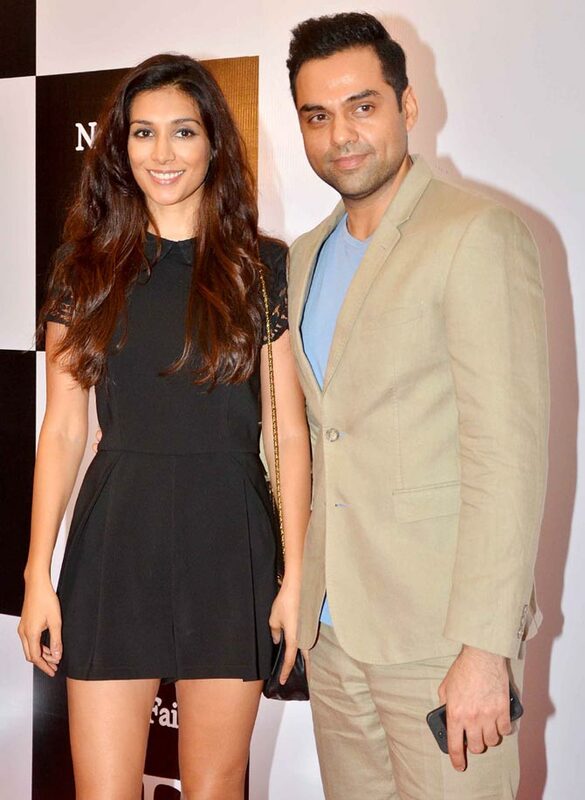 Abhay Deol arrives with girlfriend Preeti Desai. Sameer Soni with wife Neelam. 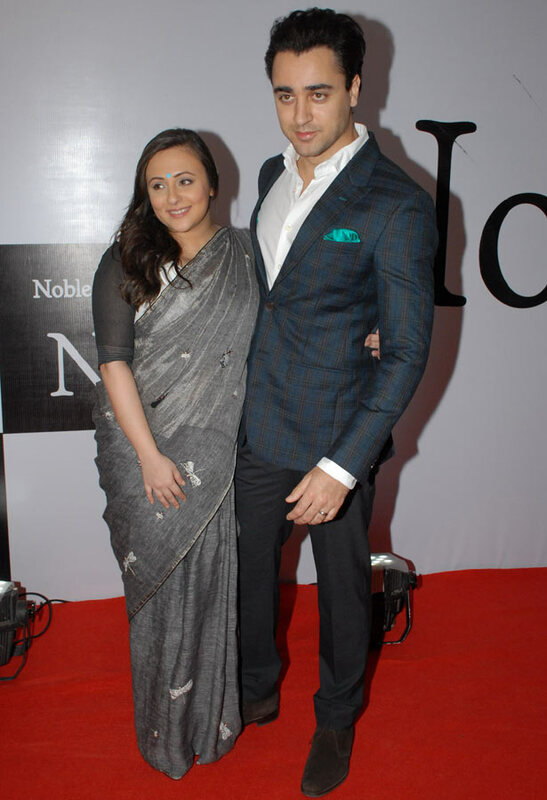 Sharman Joshi with wife Prerana. 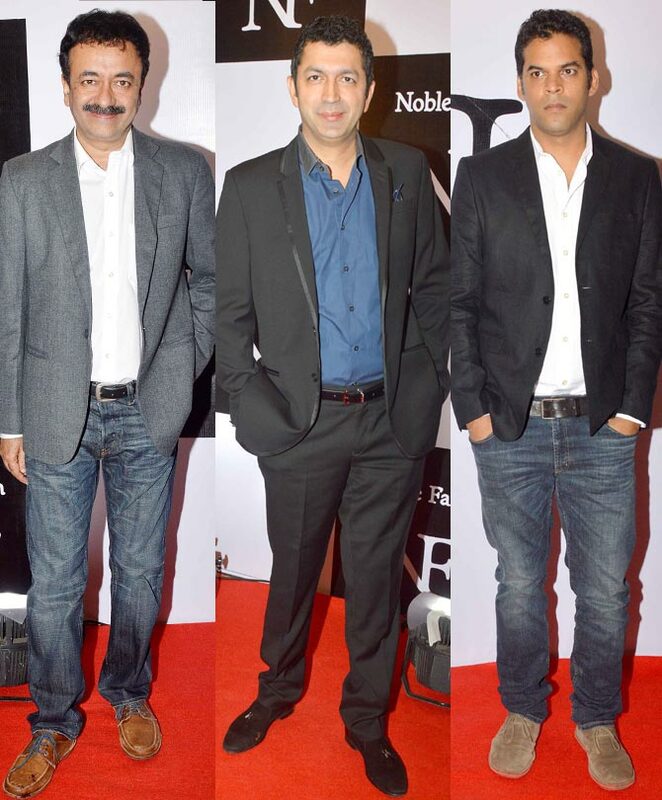 Directors Rajkumar Hirani, Kunal Kohli and Vikramaditya Motwane spotted at the do. Varun Dhawan's brother and Desi Boyz director Rohit Dhawan arrives with wife Jaanvi. 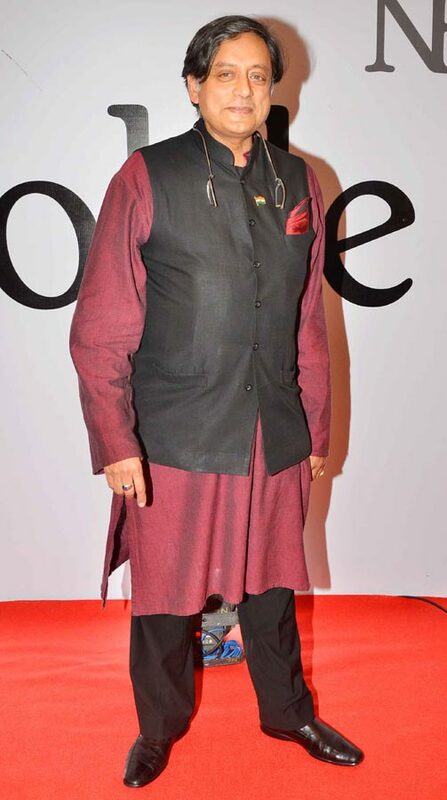 Writer-lyricist Javed Akhtar makes his way in. Reliance head Anil Ambani's wife and former actress Tina Ambani arrives with socialite Parmeshwar Godrej. Member Of Parliament Shashi Tharoor arrives.